This exceptional property is situated in well-established, quiet area within easy reach of schools, shops, waterways, beaches and more. Essential viewing in our books and it comes with separate gated access to a high clearance shed more than big enough to fit a caravan, and there is also ample lawn space to park a boat. 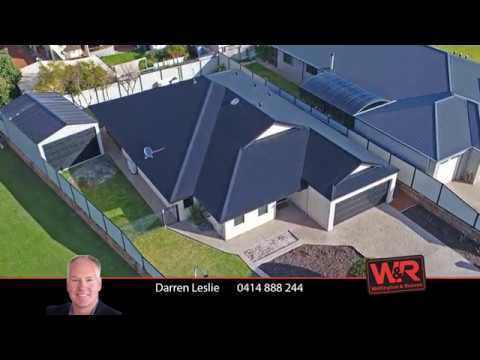 The high standard Formation Homes 4x2 home sits on a neat 683sqm lot with exposed aggregate driveway and paving and manageable yard. If offers splendid entertaining and relaxation zones where the kids can opt to watch movies in the separate media room while you catch up with friends out under the spacious alfresco deck with rangehood and gas connection. One blind is all it would take to fully enclose it for year-round use. The open plan living and dining area is also the perfect casual environment to mingle or spend family time. There is plenty of space in the contemporary kitchen for the entire family to cook to their heart's content, with quality appliances, excellent preparation space, feature bulkhead and great storage including integrated wine racks. The remaining wing reveals two double and one single family bedroom with robes, sizeable in-vogue bathroom, well-appointed laundry, linen press and elegant master suite with stylish twin vanity, separate toilet and large walk-in robe. Special touches such as high ceilings, upgraded cornicing and deluxe cavity slider doors enhance the overall quality of this home. 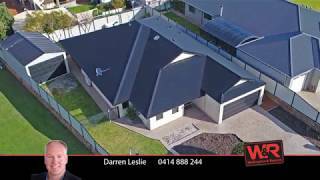 To view this wonderful family home or for more detailed information, please contact Darren Leslie on 0414 888 244.